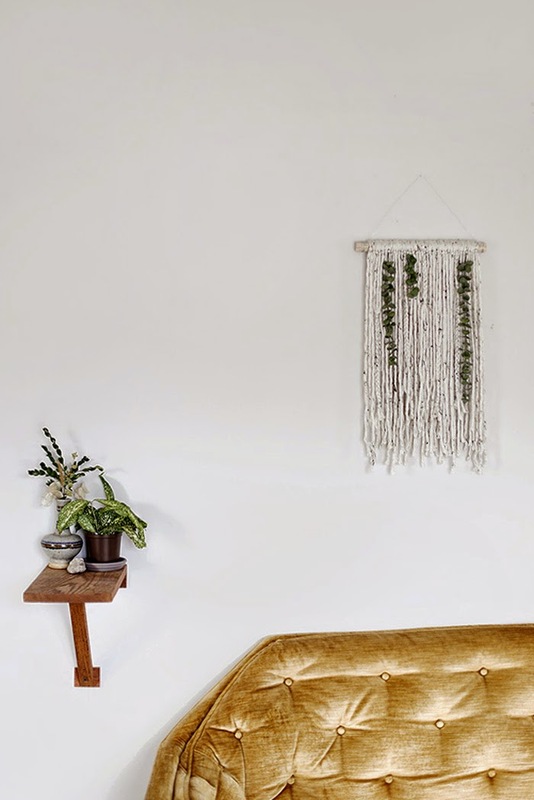 Every time I open up Instagram, I scroll past a photo or two that feature a gorgeous weaving hanging on someone's wall. I even have a few friends that make them! 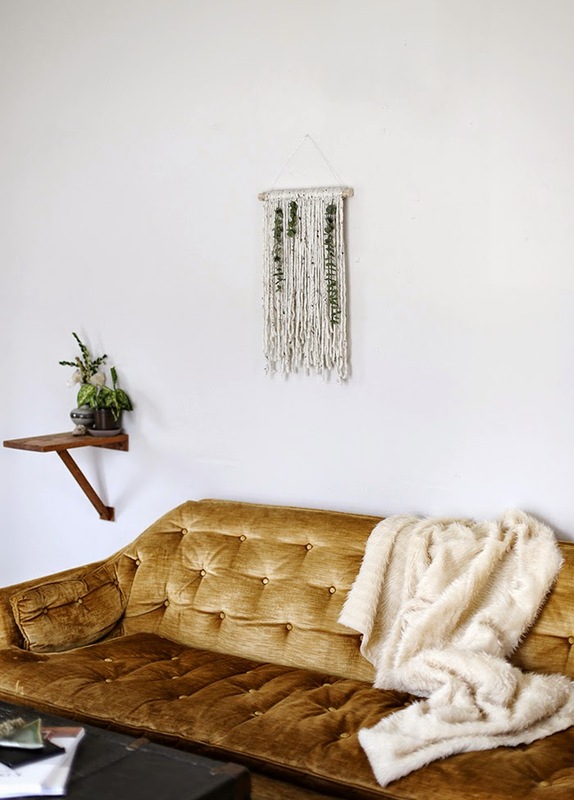 For those of us that love to craft but lack the patience to attempt to make those beautiful weavings, these basic yarn wall hangings are the perfect thing to satisfy your crafty urges. 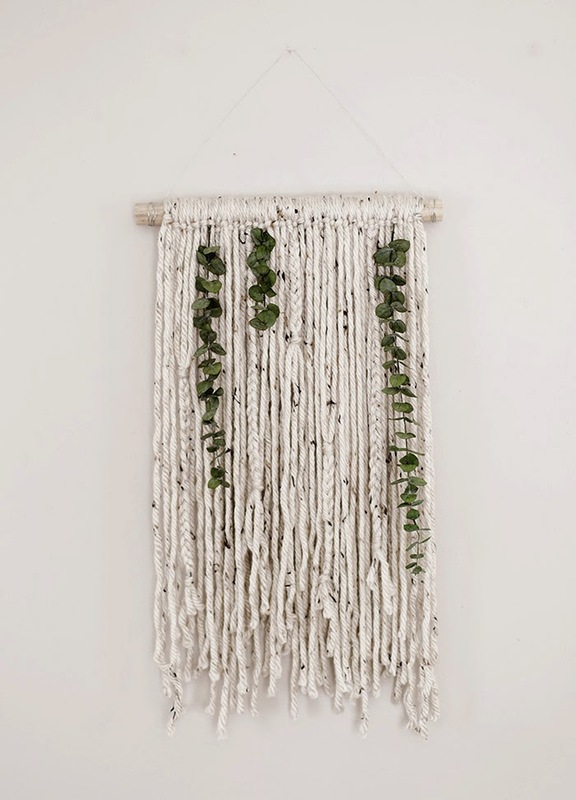 Chunky natural yarn and some lovely eucalyptus pair together to make this simple wall hanging! You can whip one of these up in under an hour! 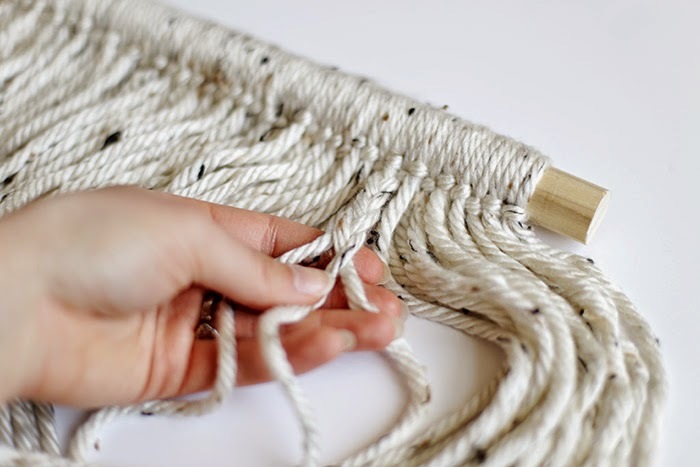 -Fold pieces of yarn in the middle, put the looped end under and over the dowel and pull the other ends through to secure. Repeat until all pieces are on the dowel. -Add some braids for additional texture if desired. 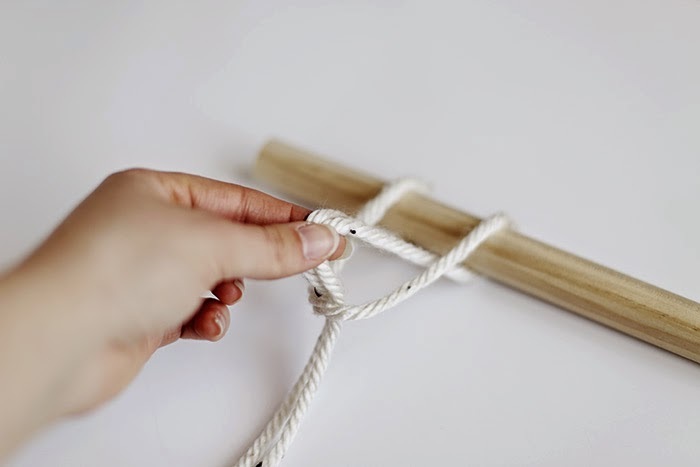 Put knots at the ends to secure braids. 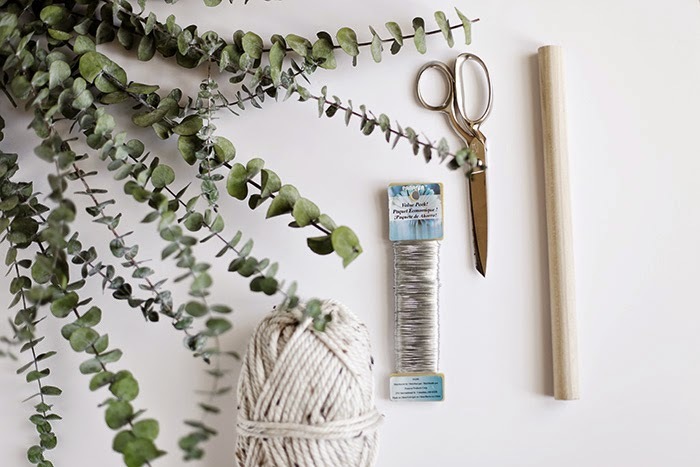 -Use hot glue to attach the eucalyptus stems under the loops to cover end and retighten. 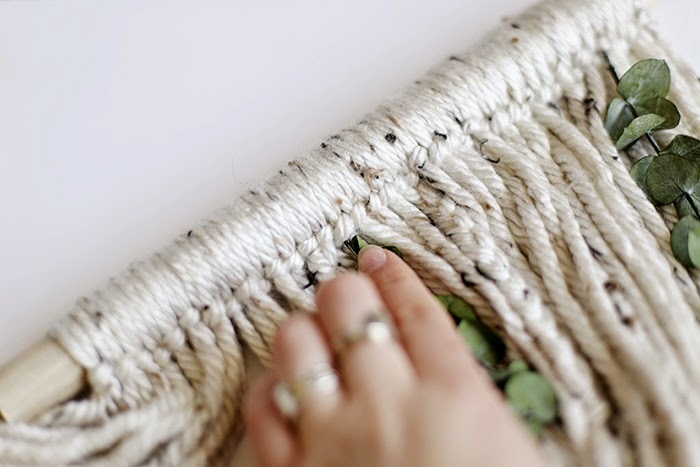 -Wrap floral wire around ends. Use a dot of hot glue on the back of the dowel if wire won't stay in place. I don't know proper English, but with dictionary I am reading. I Like this art.it is so simple & easy. I will try it in this summer with my younger girl. Where do you get your yarn from?